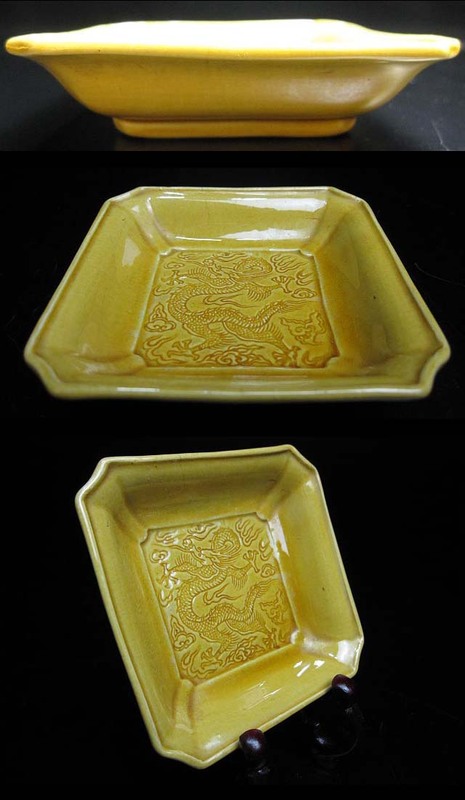 Small square gold Mimpei dish from the late Edo era with a Chinese-inspired dragon motif and deep profile. 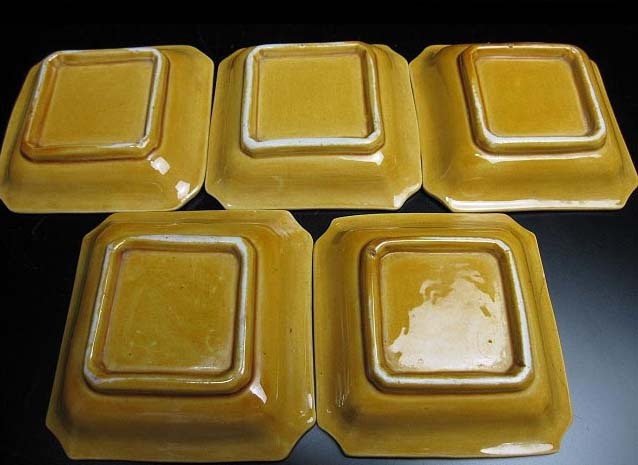 Mimpei ware has grown in popularity in Japan but is not as widely collected in the U.S. 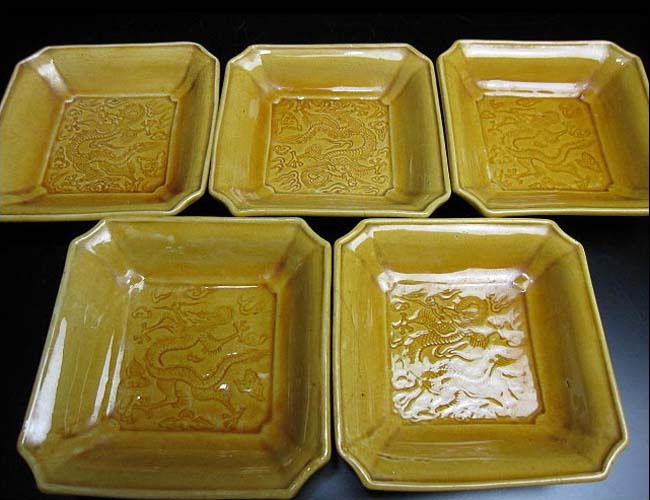 Produced in rural Shikoku by founder Mimpei Kasyu, Mimpei ware can be found in many forms but all have jewel-like color ranging from blues through yellow, gold and purple. Condition: Excellent. No chips or scratches.